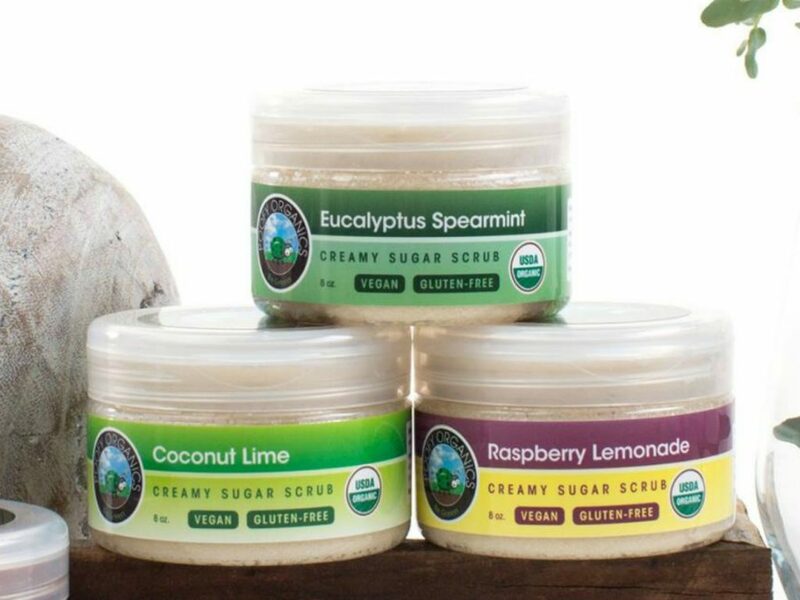 Do you have red, burning, itchy armpits from changing to natural or organic deodorant? It’s so bad you don’t want anyone to see you scratching and you just want it to stop NOW? You are not alone! It happened to me too! Why Did My Armpits Break Out After Switching Deodorants? When you break out from natural deodorant, you could be allergic or sensitive to one or more of the ingredients in your new deodorant including natural ingredients like baking soda or essential oils. Everyone is different and what works for one person, may cause another to break out. Many companies “greenwash” their products to give the appearance they are healthy, but the product’s ingredient list doesn’t back up the claims. Often times there are hidden toxins, additives, and fragrances that can cause allergic-type reactions. 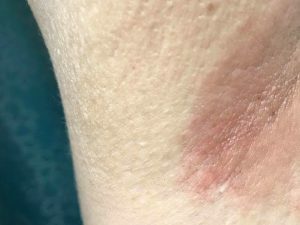 If the rash continues after discontinuing the product and trying home or over-the-counter remedies, you may have an underlying health condition and need to see your doctor. When switching deodorants from commercial to natural (sometimes even between brands of natural deodorants), our bodies need time to detox and transition from the old product before the new product can be effective. Note: This is usually not a serious outbreak and will clear up quickly on its own with time or with help from detox remedies. Do you use deodorant right after shaving or before going to bed? When you shave you are opening your pores which allows the deodorant and it’s ingredients to more quickly enter your body. This can cause discomfort, especially if you are already sensitive to one or more ingredients. Also, sleeping with deodorant or not removing deodorant at night might cause a buildup of ingredients that can cause problems. But I’ve Already Broken Out from my Natural Deodorant, What Can I Do Now? First, don’t give up! The quest for a safe and healthy deodorant is one worth fighting! Switching from commercial/greenwashed deodorants to a natural or organic deodorant is probably one of the best things you can do for yourself and the environment. In addition to giving your body a break from deodorant for a few days, here are a few things you can try, to help reverse the effects when you break out. First, when you break out from natural deodorant, you can try to apply apple cider vinegar (ACV) to help remove dead skin cells, unclog pores, balance your natural pH, remove product buildup and help soothe irritated underarm skin. Apply it either with your fingers, cotton or use a spray bottle and let it dry for at least 10-20 minutes before showering. 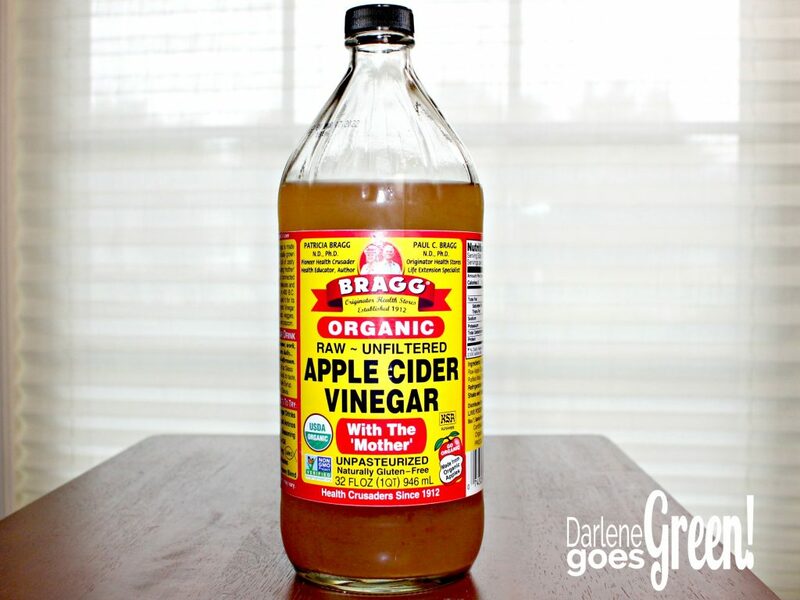 With a quick internet search, there are also many recipes available for mixing ACV with other natural ingredients for additional exfoliation or to help lighten skin that has darkened from irritation. In addition to ACV, both of these options can help before and after a breakout. After the irritation has already happened, they can soothe, help draw out and remove toxins, exfoliate dead skin cells and encourage quicker recovery. Both Bentonite Clay and Dead Sea Mud can also help preventatively as a detox before changing deodorants too. By giving your body time to remove toxins and build up before switching products, it can help with the transition and make the switch easier. You can find bentonite clay at health food stores, some drug stores and of course, Amazon. 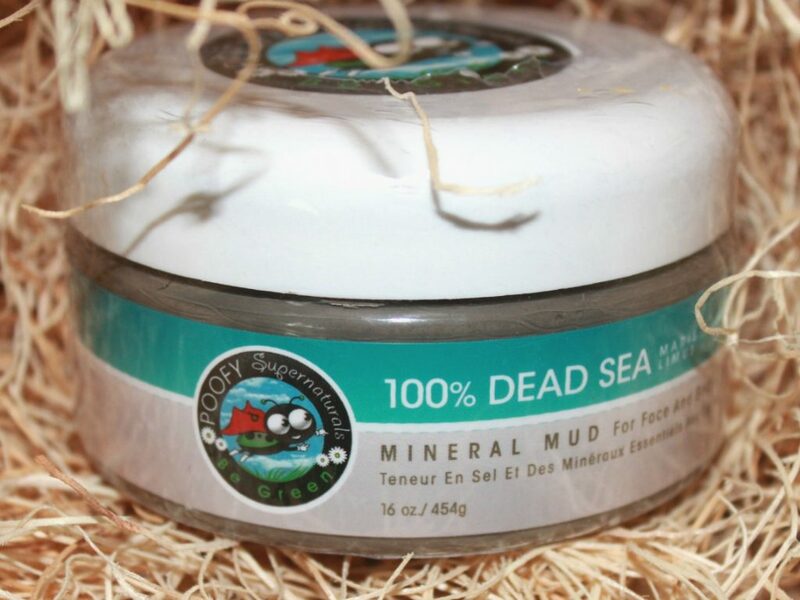 The same is true with Dead Sea Mud, but I would recommend buying it from a source you can trust like Poofy Organics (known for quality and certified organic products), so you can be sure there are no hidden additives or fillers. Next, once any burning and pain have stopped, you can use a sugar scrub to help remove dead skin cells and encourage healing. This is also great if your skin has darkened from the irritation. You can make your own or buy one, but make sure you choose a scrub without artificial fragrances, additives or ingredients that might make things worse. 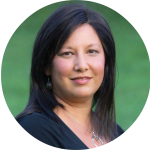 As a general rule of thumb, look for products that list all of the ingredients on the packaging, have the fewest ingredients needed to be effective and are generally easy to read/understand. 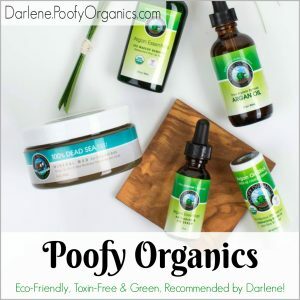 Related Post: Is Young Living Really Better Than Poofy Organics? 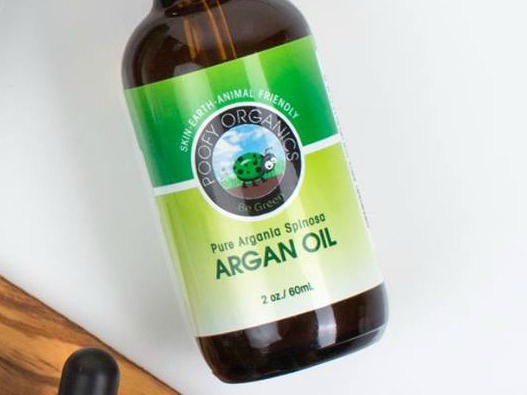 Finally, when you are on your way to healing, argan oil, made from the kernels of the Moroccan argan tree, is a natural revitalizing and healing oil used in beauty treatments and for moisturizing. It is a great way to soothe and help heal your sensitive and damaged underarms. Use it to sooth the burning, encourage healing, and improve your comfort until things are back to normal. A little goes a long way. A few drops are all you need to massage this comforting oil into your skin. 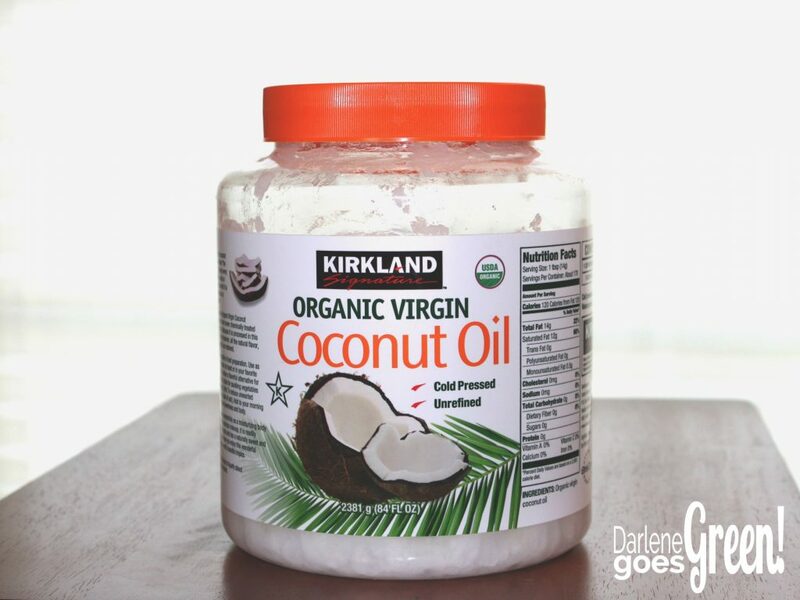 Coconut is another great oil for soothing during the transition time and to keep the area comfortable. It is a less expensive option than argan oil and can be combined with lavender essential oil for additional soothing properties. How Long Does it Take for the Rash to Heal after a Break Out from Natural Deodorant? Everyone is different and depending on the reason for your deodorant breakout, your healing time can be anywhere from a few days to a few weeks. For me personally, it took just a few days after I stopped using the offending deodorant for the redness and burning to stop, then another couple of days for my underarms to finish detoxing while using a sensitive deodorant and about two more weeks of occasional sugar scrubs for my natural underarm color to return. Probably a total of 3 weeks. Once I changed to the sensitive deodorant, my body needed a few days to get used to it, but after a few days of being a little wetter than I was used to, I now have no problem. I’ve used the same deodorant for about two years with great success and confidence in my deodorant’s healthy ingredients. Them most important thing to remember when detoxing your armpits either before trying natural deodorant or after a breakout has occurred, is be patient and listen to your body! For some people, it might take some trial and error to find the perfect natural deodorant and you might break out at least once during your search. With all of the dangerous ingredients lurking in deodorant, it is worth the effort and hopefully, some of these suggestions will help you through the transition. Keeping toxins out of your body and our of our water systems is a great gift for everyone! Have any of these suggestions helped you with a deodorant disaster? Please comment and share your story below! « Product Review: Stasher Bag. 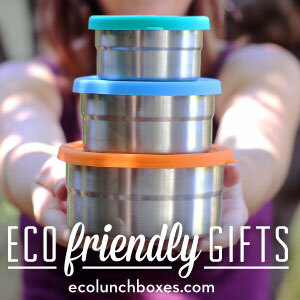 Eco-friendly Reusable Sandwich Bags! Me too — don’t give up on healthy options, they’re worth it in the long run! Once I started using a baking soda-free deodorant, I’ve had no trouble. Good luck! This happened to me when switching from Dove spray on to Schmidt’s natural deodorant. At first everything was all good I was maybe a little more wet as well. One week in my underarms got very dry and itchy — almost like a callous over the one. Benonite clay and frankincense cleared it up within a few weeks. Hi Hannah, So sorry to hear it, but glad you found something that helped you! Bentonite clay and frankincense are must-haves in our natural medicine cabinets. Thanks for sharing your experience with us! Like Hannah, I too switched from Dove brand of deodorant to Schmidt’s. Within the first few days, I got the worst red dumpy rash under my arms that burned terribly. Then once the burning stopped, they got itchy and that cycle has happened three times within the past month and a half. I thought it was something I was doing causing the rash-now I know it isn’t which makes me feel much better. Since all of these breakout, my armpits are now super dark in color. But now that I have read your article and know that the darkness that developed will go away, I feel much better now! My armpits never had a dark tint to them and now since using natural deodorant they do and that made me want to go back to what my body was used to with no issues but there is hope I see! Thank you for sharing this- it gave me the confidence to keep pushing on with finding a natural deodorant that works for me. I have been using Native for over a year now and just recently started experiencing itching to both armpits. I don’t have a rash or bumps, just the itching and can’t figure out why after so long would be developing this problem. Any ideas? I don’t want to stop using natural deodorants. Sorry to hear it! There are a lot of reasons this can happen, but most people report it being temporary. 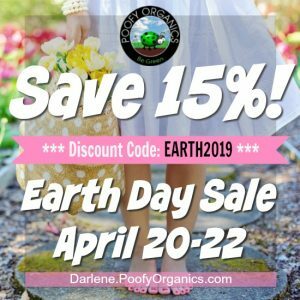 Some have tried taking a week or two off from their current natural deodorant and try using an alternative (Poofy Organics Anti-Lotion Stick is popular) that will both reduce the symptoms and work as deodorant at the same time. 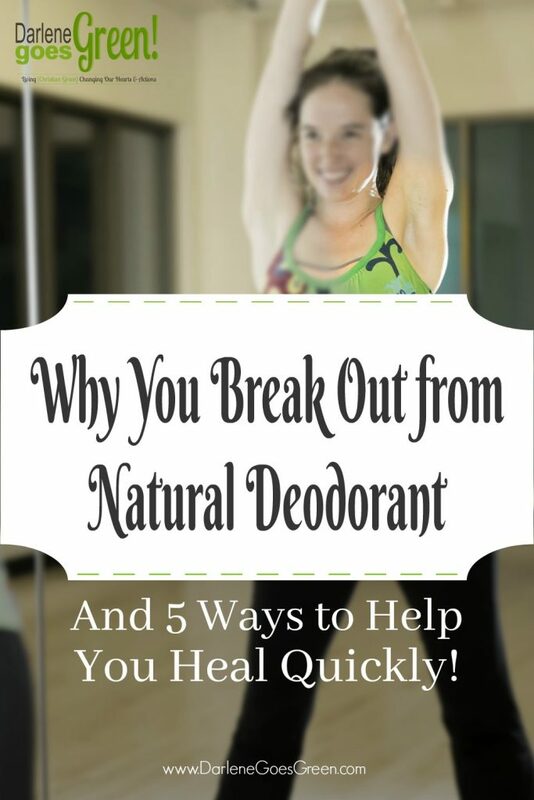 Most people can go back to their favorite natural deodorant after the breakout clears up. You could also try another brand of natural deodorant during your recovery time. I hope you’ll let us know how things are going for you and if you were able to continue using Native? Thanks & good luck!